A Canadian man has just unveiled what may be one of the North America’s rarest and most stunning treasures: a massive 61-pound pearl. 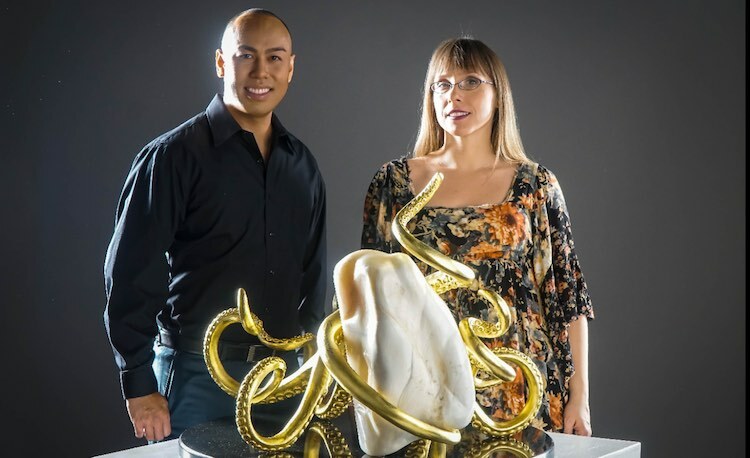 The “Giga Pearl”, as it is being called, is now thought to be one of the largest pearls in the world – and Abraham Reyes says that he only recently came to own the record-breaking gemstone after a fortuitous string of events brought it into his possession. The pearl, which is estimated to be about 1,000 years old, was hidden inside of a giant clam that Reyes’s grandfather bought from a Philippines fisherman as a gift for Reyes’s aunt back in 1959. For years, his aunt kept the precious pearl at her home in Manila along with the rest of her art and antiquities collection. Though Reyes and his aunt always adored the gem and its magical allure, the rest of their family failed to see very much value in the rock. In fact, Reyes told CBC that his other relatives did not even know that it was a pearl. So when his aunt began offloading her estate in 2016, Reyes’s family staked their claims on her house and possessions – but the pearl was passed on to him. The 34-year-old man from Mississauga, Ontario kept the pearl in a safety deposit box until he could have it examined and evaluated by geological specialists. His suspicions were eventually confirmed when the gemstone was found to be four times the size of the Lao-Tzu pearl, which previously held the record for the world’s largest pearl. Not only that, Reyes’s treasure was estimated to be worth between $60 to $90 million. That being said, the Giga Pearl is still about 16 pounds shy of the Puerto Princesa pearl, which was uncovered by the tourism office of the little Philippines city back in 2016. Though it reportedly weighed in at 77 pounds, it was never officially confirmed to be the world’s largest pearl. Now, rather than selling the stunning Giga Pearl, Reyes wants to share its beauty with the world by putting it on display in various museums and galleries. The Giga Pearl is now carried in the arms of an octopus statue gilded in 22-karat-gold which Reyes had commissioned specially for his gem.